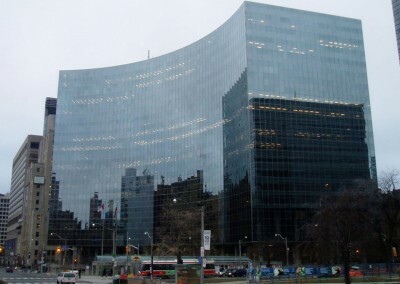 Ontario Power Generation’s head office at 700 University Ave is a complex, high-rise office building situated on a very tight site in the heart of downtown Toronto. 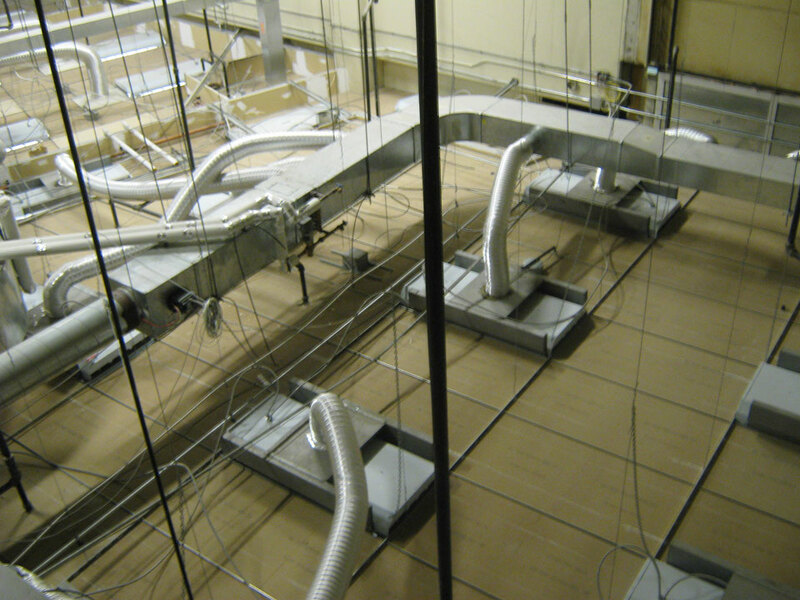 The mechanical room contains the major components and systems that are used to heat and cool the building throughout the year. In order to conform to the Montreal Protocol 1987 phase out program Ontario Power Generation was mandated to replace the existing CFC refrigerant (R11) system. 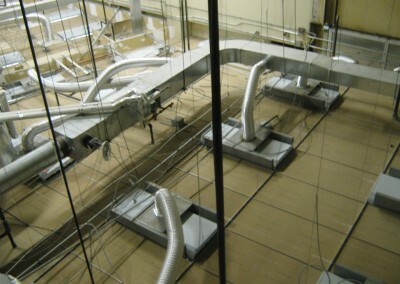 The “as-built” drawing preparation was the first step in completing this process. 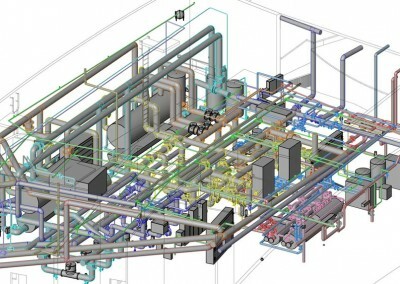 To update existing building information, NA Engineering Associates Inc. provided mechanical and electrical consulting services to prepare “as-built” drawings of the existing systems and components. 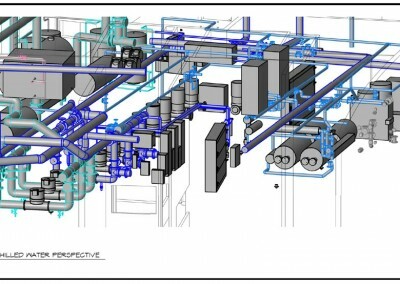 Each of the systems had to be measured and verified prior to being accurately added to a brand new set of three dimensional drawings. 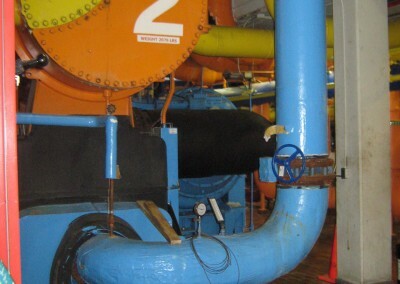 The mechanical systems included domestic hot water, domestic cold water, steam, primary/ secondary chilled water, system pumps, fire protection and electrical systems all of which had to be accurately measured and recorded. 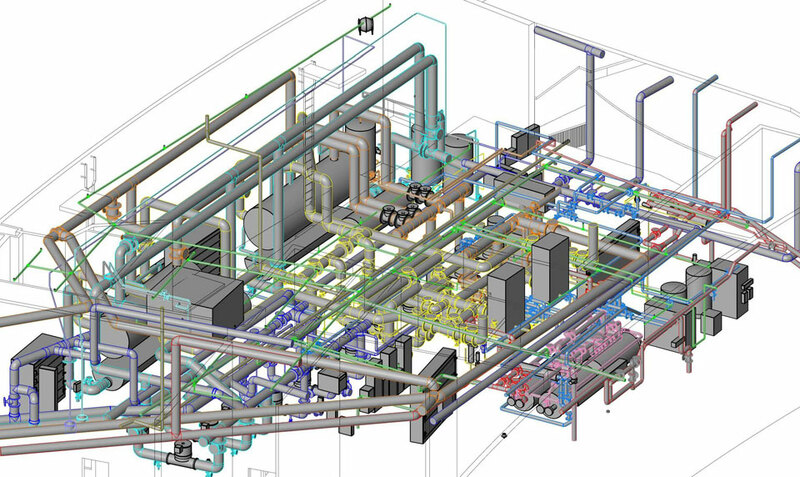 The preparation of the drawings package was completed using three-dimensional AutoCAD / REVIT software that allowed for a detailed “as-built” look at this intricate building system. 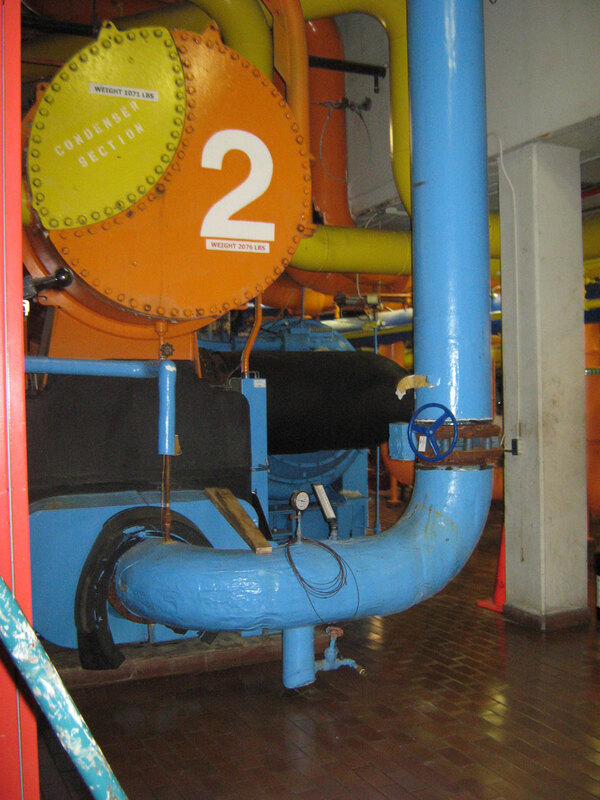 In order to isolate the chiller to permit staged replacement the isolation of each system for each chiller was required to be thought through and designed so that each could be removed systematically without disruption to the operations of the office building. 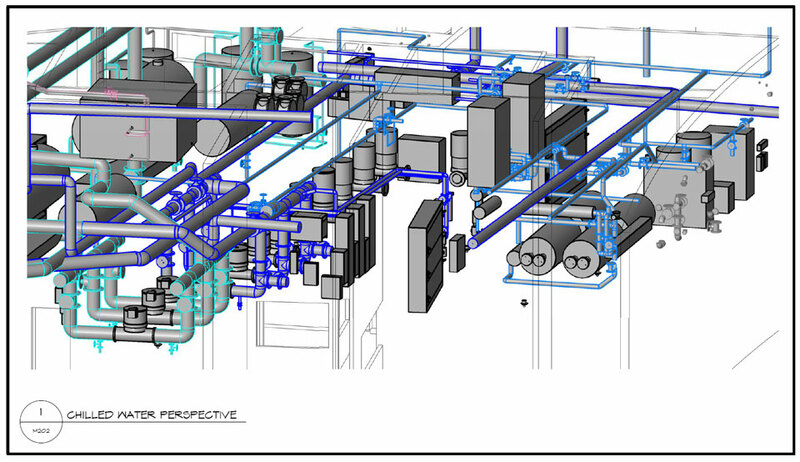 A tight timeline added to the complexity of this project.